Some great reviews for the Major Crimes summer finale! - Borg.com: “Breathtaking. Gut-wrenching. 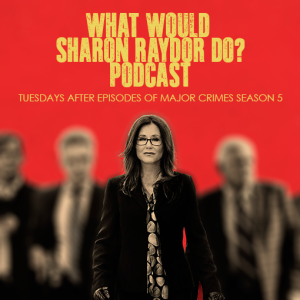 This week’s summer season finale of Major Crimes should underscore for any naysayers TNT’s decision last week to renew the series for a third season. Major Crimes wrapped its eleventh episode of the second season this week with what may be the best dramatic episode of television this year. Revealing the murders by a “poster boy” model of several innocent victims, the producers took us on a different path through the Major Crimes typical police turf to a place we didn’t really want to go. Creepy and disturbing in the way Medium once revealed its violent crimes, the audience was left on the edge of their seats not for any grand climax but simply marveling at how each of the cast members aided in solving the crime.” Read the full review here. - Zap2It- “The final sequence was heartbreaking, if frustratingly short. Rusty was taken out of school on his first day by a couple of officers, while Sharon was summonsed to Taylor’s office. As Rusty arrived, the squad acted as if they knew this might be the last time they’d see the kid, but it was the moment when he saw Sharon with the stack of letters in her hands that really won the hour.” Read full review here. This entry was posted in Reviews and tagged Reviews by admin. Bookmark the permalink.